The 54th Burnaby Mountain Brownies got off to a great start this year by finding a way to contribute to peace and friendship in our community. The group participated in the Reconciliation Art Project as part of the annual Walk for Reconciliation in Vancouver. The Brownies painted rocks with messages of acceptance and friendship and then placed them as part of a large art installation in Strathcona Park which greeted participants where the walk ends. It is great to see our girls taking acting to support better relationships among Indigenous peoples and all Canadians. Way to go, girls! At a recent Guide meeting the girls of the 22nd Burnaby Mountain Guides tried out making their own scratch board art. The process was reasonably simple, but allowed for great creativity. One girl used the project to demonstrate her interest in world travel. What an awesome rendering of the Eiffel Tower! Maybe one day when she’s a little older this Guide will get the opportunity to participate in an international trip with Guiding. Every year, lots of Canadian Pathfinders and Rangers go on Nationally and Provincially sponsored trips or plan and fund raise for their own independent ones as a unit or district. If you want to try making your own scratch board art, it isn’t too hard! All you really need is some card stock, crayons, black paint, and liquid dish soap. You can find some instructions here. Girls loved this activity because they could choose their own color schemes and scratch out their own unique designs. This simple art project was done at a regular unit meeting and is a good example of the cool things that girls get to do each week in Guiding. 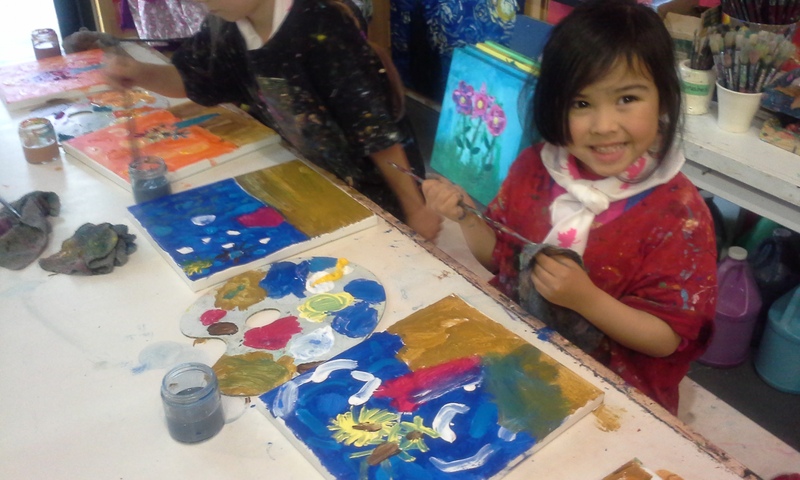 A few weeks ago girls in the 1st Burnaby Mountain Sparks group visited 4 Cats Art Studio (Capitol Hill), one of their favourite outing places! Visiting 4 Cats has become a springtime tradition for the unit, an activity that is partially funded by their spring Girl Guide Cookie campaign. Girls who were in the unit last year remembered coming to this place to make awesome Van Gogh-inspired sunflower paintings. This year, they got to try something new — sculpting fairy princesses out of polymer clay and mounting them on starry painted backgrounds. The staff at this art studio are absolutely amazing. The program leader, Dino, showed great patience and expertise working with girls of this age and helped them work through the art process one step at a time until each of them had created unique and beautiful art. Visiting the art studio is a real treat because it exposes girls to supplies and techniques that are much more sophisticated than we can use for our regular unit meeting crafts. Girls love the chance to put on their smock, and make a mess… I mean, a work of art! 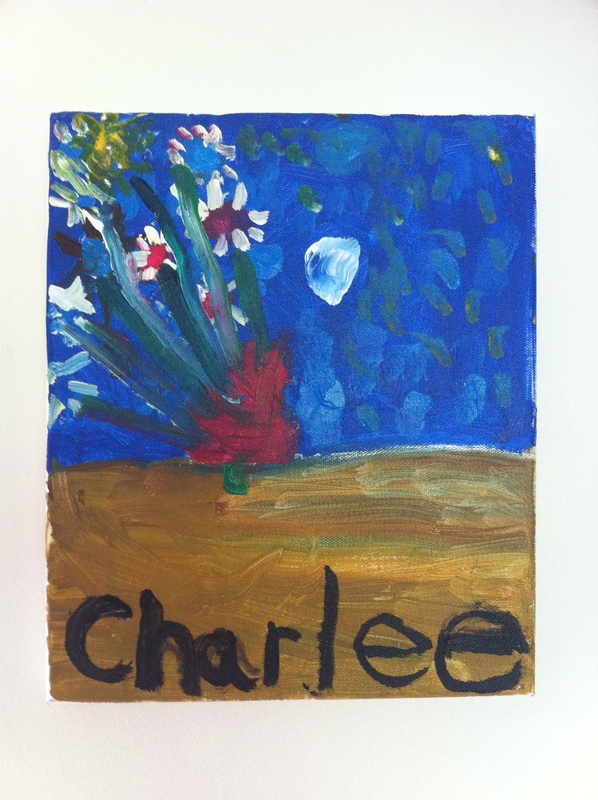 Last night the girls in the 1st Burnaby Mountain Sparks went to a 4 Cats art studio to participate in a painting workshop to recreate Vincent van Gogh’s famous masterpiece, Sunflowers. A wonderful art facilitator gave tips on drawing and painting the vase full of flowers. Girls were encouraged to think about warm colours and cool colours and to group those together to emphasize mood. The girls had a great time and produced some really awesome art. By the end of the night they had each made their very own acrylic painting with modeling paste on an 11″× 14″ pre-stretched canvas. The 1st Sparks love 4 Cats!